Trading in your tyne machine for a disc seeder is a big step in anyone’s book, both financially and psychologically. But for Wimmera grower and Vic No-Till president Paul Oxbrow it was a matter of ‘not being able to afford not to’. Paul, who farms at Rupanyup South on what he describes as ‘the stickiest soils in Australia’, has been direct drill sowing for the past 20 years with a Janchke air seeder. Seven years ago they moved to a no-till system on controlled traffic, and continued using their tyne. 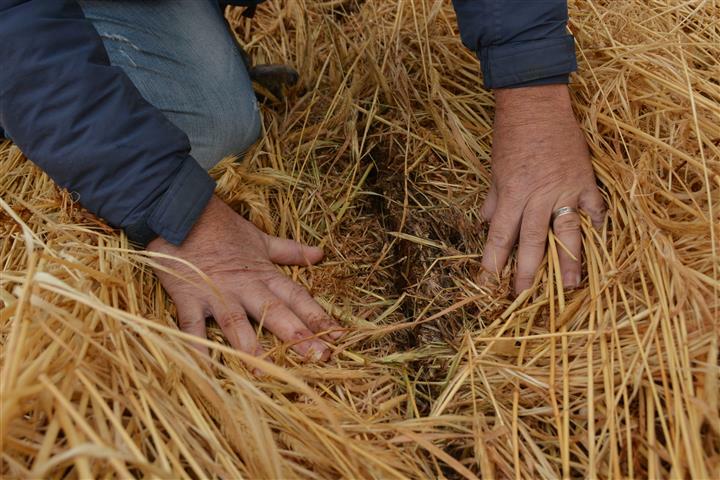 Paul says as his soil health improved under the no-till system, undulation in his paddocks started to increase. This led to a variation in sowing depth because of the rigidity of the tyne, and negative impacts on yield. The past two seasons have been particularly tough, with the lowest rainfall on record in 2015 on the tail end of a near record dry year in 2014. Paul says going to a controlled traffic system further highlighted the problems within his current system. Last year a friend brought his John Deere disc seeder in and sowed a paddock of lentils for Paul. It was the first time he’d had a disc on the place and was keen to see the differences. However, a 30mm rain event the day after the disc finished sowing meant Paul couldn’t attribute the differences in yield to the disc alone. There were other barriers to changing to a disc for Paul as well. With such sticky soils, he was concerned about mud sticking and blocking discs. He overcame this barrier by seeing with his own eyes how the NDF disc seeder performed in sticky soils. Another barrier for Paul was cost and maintenance. Getting the setup right for different paddock conditions was another consideration holding Paul back. 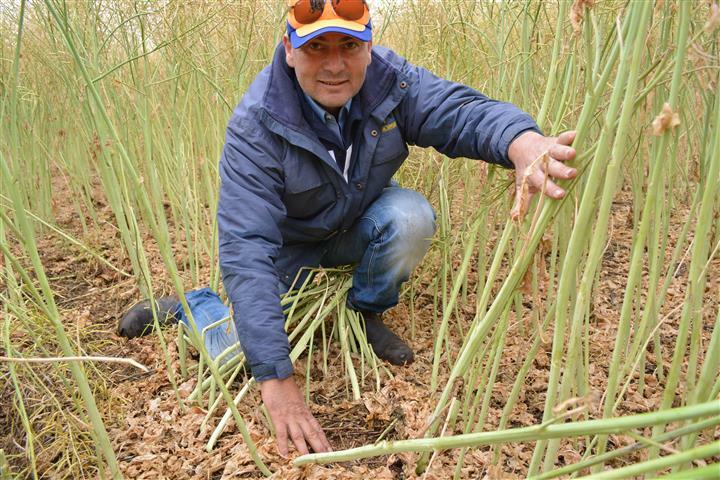 But it was a Vic No-Till farm tour to northern Victoria which was the true lightbulb moment for Paul in biting the bullet and purchasing his NDF. Paul says seeing what others have done with a disc as far, as germination in a very dry start, has shown him the potential for his climate conditions. Paul is prepared for some teething problems, and says he’s narrowed his row spacings which might not be the best start for the disc. But he hasn’t had a choice because of the consecutive poor seasons and wanting to keep as much cover as possible on his soils. During harvest he cut his stubble low and ensured an even spread of residue to help transition to the disc. He will start sowing earlier and plans to sow his first paddock in mid April two weeks earlier than he normally starts. He knows this first year will involve some trial and error.